We offer commercial, serviced, shared and virtual office space at our three Business and Technology Precincts at strategic locations around Brisbane. Begin your search for the perfect office space here. Impressive three-level commercial office building with secure basement car parking. Located within the Innovation Precinct, a fitted out 744sqm tenancy is available on the second floor. 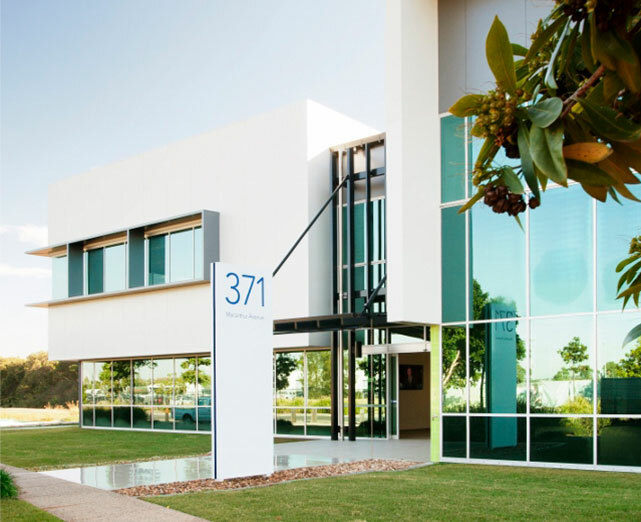 572m2 ground floor laboratory with adjoining office now available to lease at Brisbane Technology Park. Prime position at the entrance of BTP, on the corner of Logan Road and Brandl Street. Up to 600 square meters available in the heart of Brisbane Technology Park. Join Woolworths at 21 Brandl Street, located at the Logan Road entry to Brisbane Technology Park. Up to 700 square metres of premium corporate office space available in new building at Brisbane Technology Park. Impressive 406 square metre tenancy of premium corporate office space available with exclusive use balcony. Prime site located on major entry corner to Brisbane Technology Park off Miles Platting Road. Impressive two level commercial office building over one level of basement carparking. This brand new building occupies the prime position at Brisbane Technology Park with exposure to over 50,000 vehicle movements per day. Brand new building at Brisbane Technology Park. Located in the Innovation Precinct adjacent to multi-level car park, Quest Hotel, BTP Conference Centre and multiple cafes. The BTP Hub at 8 Clunies Ross Court offers affordable, flexible office space for companies with up to 15 employees. With three prestigious Business and Technology precincts across Brisbane offering an extensive range of office spaces for lease, BTP has your workplace rental needs covered. Each Business and Technology Precinct is strategically located to provide easy access to the Brisbane CBD and airports, with all three offering immediate access to main arterial roads, motorways and highways. Location is one of the most important factors to consider when sourcing an office space and the locations of the BTP precincts at Eight Mile Plains, Darra and Hamilton are sure to tick all of your boxes. Office buildings at BTP’s three precincts offer an extensive range of office suites and workspaces to suit the requirements of businesses of all sizes and in all sectors. Flexible floor plates are a prominent feature of each building, with a wide range of layouts to choose from. Exclusive use balconies are a feature of many corporate office suites and fit out packages to help minimise relocation costs are also available. All office buildings feature premium construction and architectural design. Natural light, spacious break out and communal areas, and well-appointed receptions and foyers further making BTP office rentals the ideal workplace solution for your business. Office space is available for rent at all Business and Technology Precincts, with new office buildings currently under construction each year. Outstanding onsite amenities are a notable feature of our business and technology parks at Eight Mile Plains, Darra and Hamilton. Cafes and casual eateries are situated a short distance from most office buildings, along with multi-storey car parking facilities and end of trip facilities. Meeting venues are located within BTP Hub locations across Brisbane. Onsite business support services provided by experienced administration staff are also available. For businesses that aren’t ready for a long-term lease but want the benefits that a prominent Brisbane business address offers, BTP’s serviced and virtual office solutions are cost-effective and flexible options that empower businesses to put their best foot forward. Serviced offices are available for lease with flexible minimum 3-month contracts and offer an aesthetically appealing workspace with modern furnishings and ample natural light. BTP serviced offices are available at Eight Mile Plains, Darra and Hamilton, and are suitable for businesses and teams of 1-15 people. Virtual offices are a popular option among startups, sole traders and freelancers that desire the benefits of a professional business address but aren’t ready for their own office space just yet. Virtual office packages are available at all three Brisbane precincts and include phone answering, mail forwarding and other essential services. Meeting rooms are available for hire at affordable rates when you need to meet with important clients.